Manchester's Hallé Orchestra has announced details of the 2008-09 season at the Bridgewater Hall, including a complete performance of Götterdämmerung, the last part of Wagner's Ring Cycle, under Music Director Mark Elder. 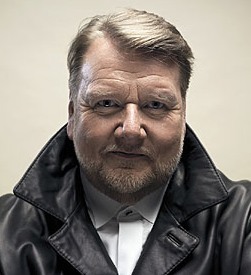 A leading Wagnerian, Elder has long desired to bring the Ring to Manchester, and previous encounters with the composer's music in performances of Siegfried Act III and Tristan und Isolde have been well received by the press and audiences alike. This Götterdämmerung presents a particular challenge, however, and will be performed over two nights, with the Prologue and Act I at 7pm on 9 May 2009 and the other two acts at 6pm on 10 May 2009. The cast is extraordinary, headed by the Siegfried of Ben Heppner, who will be singing the role onstage with Simon Rattle shortly thereafter, and Katarina Dalayman as Brünnhilde. Andrew Shore will be Alberich, Peter Coleman-Wright is Gunther, Nancy Gustafson is Gutrune and Susan Bickley will play Waltraute. Another highlight of the season is a complete cycle of Carl Nielsen's symphonies, which will be performed over three weeks in January 2009 in conjunction with the City of Birmingham Symphony Orchestra and their Music Director, Sakari Oramo. The orchestra's Thursday Series opens on 9 October 2008 with a performance of Mahler's Resurrection Symphony, which Elder will conduct for the first time; Janice Watson is the soloist. Radu Lupu joins the orchestra on 6 November for Bartok's Third Piano Concerto, while another outstanding concert promises to be a coupling of both Brahms Piano Concertos on 26 February 2009, in which Barry Douglas will be soloist and Yan Pascal Tortelier the conductor. And Sarah Connolly returns to the Hallé on 12 March for Berlioz's La Mort de Cléopâtre. 'The Collection' series this year features Prokofiev's Alexander Nevsky on 15 November under Alexander Lazarev, and Elizabeth Watts joins the orchestra for Handel's Messiah on 7 December. Janine Jensen joins Elder in September for Barber's Violin Concerto, which is coupled with Elgar's Enigma Variations, while Louis Langree conducts an all-French programme in January 2009. Two of the Hallé's former Assistant Conductors return to the fold with varied concerts. Rory Macdonald – who was also formerly of the Royal Opera's Young Artists Programme – conducts Stravinsky, Tchaikovsky and Dvorak in February 2009, then in March Edward Gardner, ENO's Music Director, is joined by Katie Van Kooten (another Covent Garden alumnus) for Richard Strauss' Four Last Songs. At the lighter end of things, the 'Hallé Pops' series features concerts with the likes of Carl Davis (conducting music from Westerns and from Oscar-winning films) and John Wilson (leading two 'light classical' programmes). 12 October 2008 offers the opportunity for the public to sing Vaughan Williams' A Sea Symphony with the orchestra, and the Christmas period offers the usual range of concerts including a Broadway night and a concert of Bond theme tunes introduced by Honor Blackman. Top ticket prices are comparable to the London orchestras, but the Hallé goes one better by offering a selection of concerts to students for a mere £2.50. With a delectable season ahead, the orchestra's next 150 years look to be as distinguished as the last century and a half has been. See also our preview of the Royal Opera, Covent Garden's 2008-09 season here. See also our preview of ENO's 2008-09 season here. See also our preview of the Opera national de Paris' 2008-09 season here. See also our preview of the 2008 Edinburgh Festival here. Plus our preview of the Barbican's Great Performers 2008-09 season here.